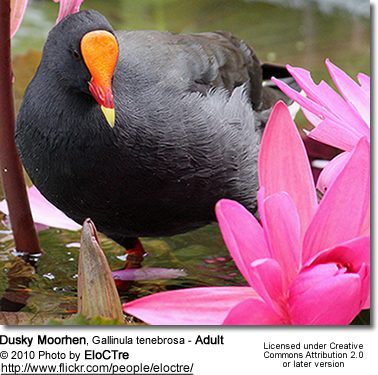 The Dusky Moorhens (Gallinula tenebrosa) are rails found in Australia, New Guinea, and Indonesia. 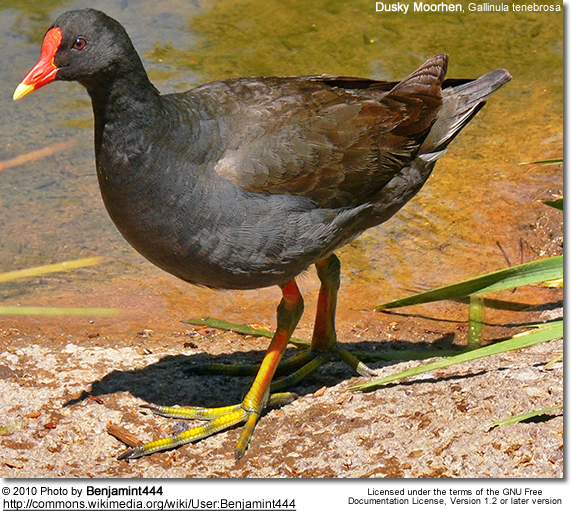 They inhabit wetland habitats, with a preference for freshwater marshes. 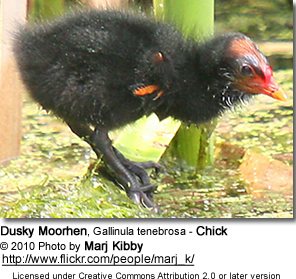 Those occurring in New Guinea tend to be smaller (averaging 25-32 cm in length). 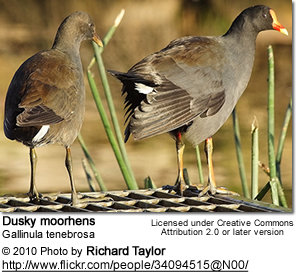 The Australian race measures between 35–40 cm in length and has a wingspan of 55–65 cm. 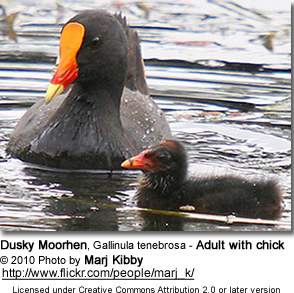 The adult Dusky Moorhen is mainly dark grey-black, with a browner tinge to the upper plumage. 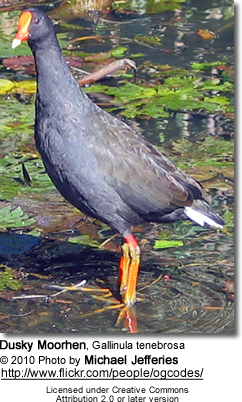 t has a red frontal shield and yellow-tipped red bill and has orange-yellow legs. 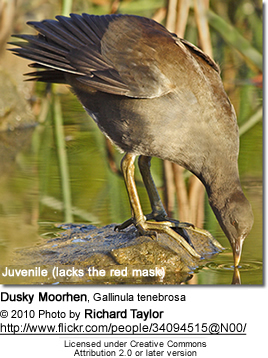 Males and females look alike, but young birds have mid-brown plumage. It's call is described as a loud kruk call. 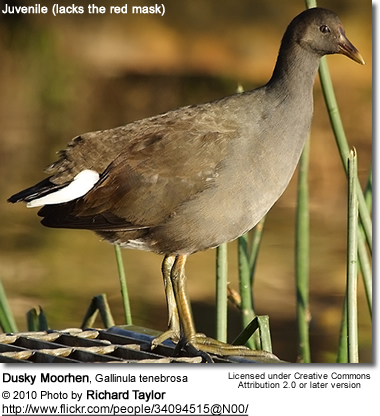 They feed on a wide range of plant and animal foods. 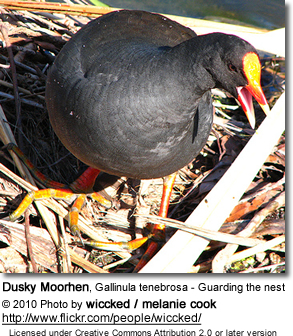 They build bulky nests at the water's edge. 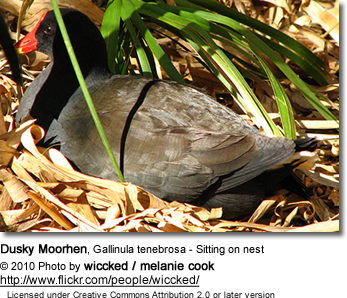 A clutch consists of 5 - 18 whitish eggs.